We visited our relatives and enjoyed quality time as a family at the Riverbanks, my boys flew a kite then we walked from the Riverbanks to the Ilog Tiangge, ate dinner at Max's Marquinton then culminated the day with the COD Animated Display at Marikina City Hall. I see myself as an adopted daughter of Marikina City, I may not be born there but my heart has been captured by the city and its people. I am married to a wonderful Marikeño, and lived in Marikina in 2001, although I don’t live there now permanently I still keep a house there where we visit regularly. I also had the opportunity to teach at the Pamantasan ng Lungsod ng Markina a year ago. As you can see we consider Marikina as a permanent home, our refuge, wherein we can go anywhere and live in any other city but our Markina home will always be there waiting for us. I have seen the progress of Marikina since the 1980’s till this day and feels proud of what it has become. You see I have been going to Markina since I was young; we have relatives living there so we would often come for a visit. It was really weird that I met my husband in college when we should have met before since they were my tita’s next door neighbors where I would often visit as a child. What do I love about Marikina City? The friendly people – when you stroll around the city you meet people smiling back at you. It makes me feel welcome and lifts up my spirits. When I was working at PLMar people would smile(even if you don’t know them) when you enter the campus or meet them at corridors I really felt welcome. 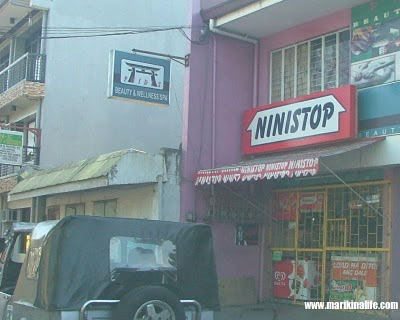 Till this day whenever I go to Marikina I still feel their welcoming smiles be it at the Palengke or in the Malls. The clean environment – I love walking and Markina gives you that, a sidewalk where you can just walk in or walk to where you want to go around the metro, and places where you can be with your family and just have a picnic in the Park or sa Ilog. I am not here to replace Jay but will be contributing articles and information about Marikina City. So join me as I share my experiences and love of the City named Marikina!